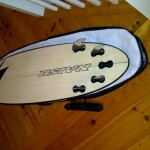 After waiting more than two months I received my new board two days ago. 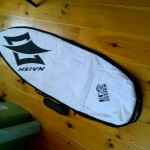 (Naish Global 5’5″ 2012) Promoted by Naish as its all-around, high performance surf board, it looked good on-line and I thought it would be a good board for the more aggressive surfing I’ve been trying to get into lately. The “out of the box” experience was excellent. It comes in a tight travel bag which unfortunately only fits when the fins are off but seemed to cut down on the amount of plastic packaging. 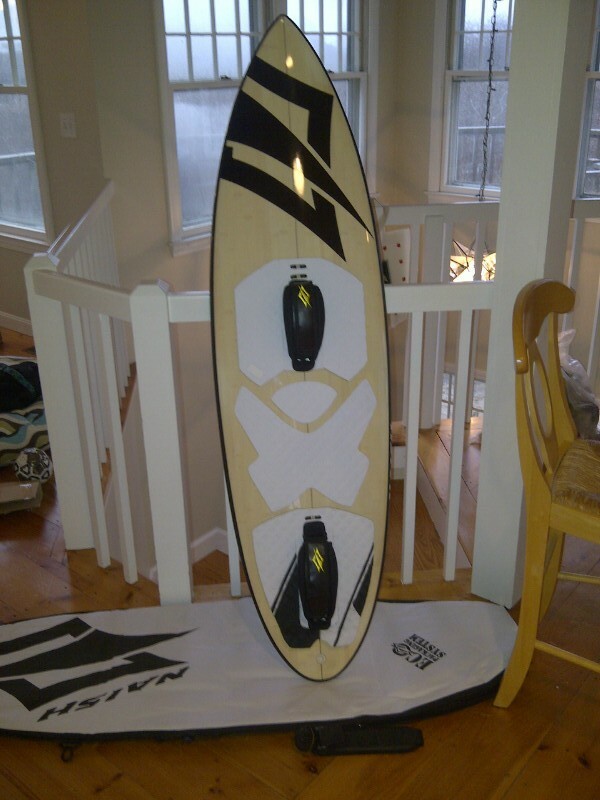 The board looks sweet. 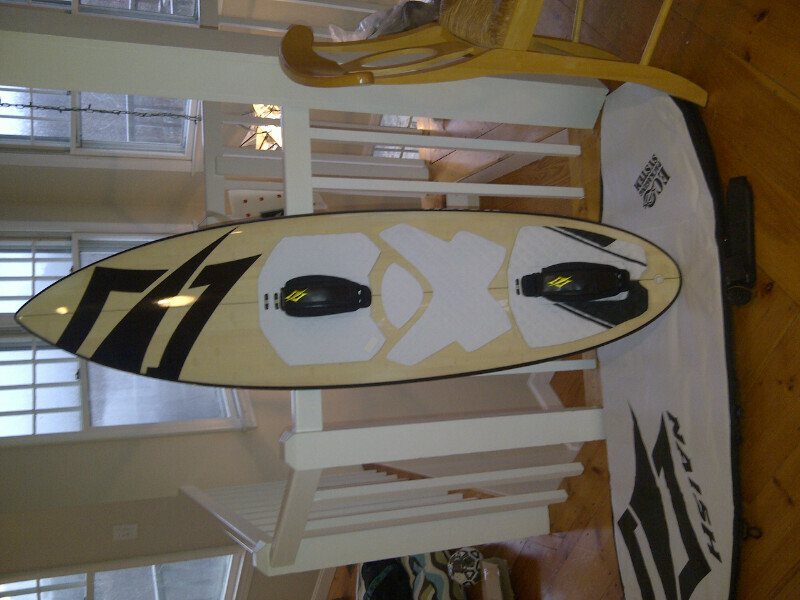 Its got a wood grain look to it with a bold Naish logo on the nose. The rails are black and you can see the carbon weave through the top-coat. It looks really nice. My first thought was that the shape is a little narrower than I was expecting. This is possibly because I’ve been riding the 5’2 fish lately. I didn’t compare then side to side yet. I was also suprised because the rocker line is really flat and even the nose flip looks minimal. Once I got it all set up and sat with it a while I got used to it and I’m stoked to get a day on it. It feels light even all set up. 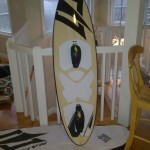 I’d like to check its weight vs other similar boards. I was expecting 5 fins in the box because it has five fin boxes and can be set up as either a quad or thruster. But it only ships with 4 so out of the box you set it up as a quad. 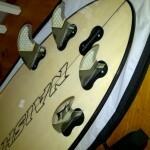 I’m not an expert so I was a bit surprised that the bigger fins go in the front and the smaller ones in the back slots. 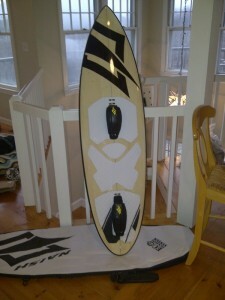 I will be very interested in how it feels on the water. 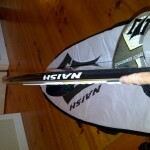 I’m looking into getting a 5th fin so I can ride it thruster as well. ( I learned more about this, see the comment below) I’m sure it will rip either way but I am interested in seeing if I can notice the difference now that I am feeling more dialed in the ocean. It took me a little work to get the fins in correctly. The front edge of the larger fins extend well in front of the fin box and at first I was getting a noticeable gap between the base of the fin and the board on the leading edge. I don’t think there is a problem. I just had to mess with the way I snugged up the little barrels that hold in the fins. I think it turned out cool in the end. All in all it looks like a typical excellent product from Naish and I can’t wait to see how it rides. Looks like a pretty flat rocker line to me. 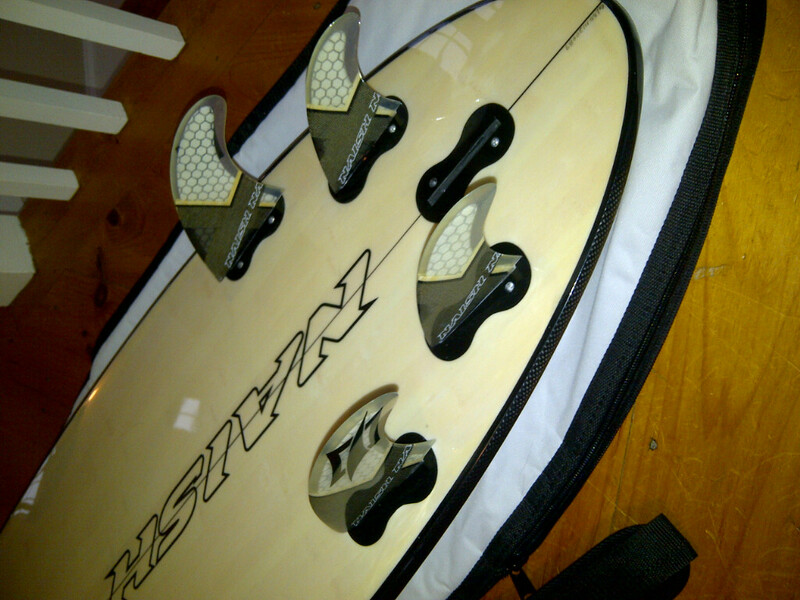 So I haven’t got a ride yet but I did learn that you don’t have to buy a center fin to set it up thruster. You leave the two large fins in the forward boxes and then take one of the small fins and use it is the center. This is a little counter-intuitive to me but I am going to try it out and see how it rides. I have a feeling it will be killer.